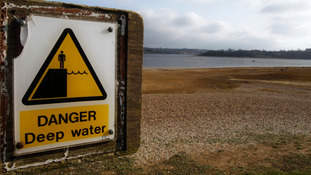 Water regulator Ofwat has rejected a bid by Thames Water for an additional price hike for 2014 to 2015 of 8%. We said we would challenge Thames' application, in the interests of customers. We did just that and on the evidence provided we are not convinced that an extra bill increase is justified. Water regulator Ofwat has turned down Thames Water's application for an additional price increase for 2014 to 2015. Ofwat says it was for Thames Water to justify the proposed 8% increase was in customers’ interests. Within the three month timescale for assessing the application, the water regulator found the evidence the company submitted did not justify its proposed £29 additional increase in customers' bills. Ofwat’s decision means the maximum that Thames can add to customers’ bills for 2014-15 is still 1.4% above inflation, as set in the 2009 price review. Britain's water industry regulator Ofwat said that an average eight percent hike in water bills planned by Thames Water was not justified. "We said we would challenge Thames Water's request," Ofwat's chief regulation officer, Sonia Brown, said. "We have looked at the details and do not believe the current evidence justifies an increase in bills." Thames Water, which has 14 million customers in London and the southeast of England, submitted a request in August to increase prices above the limits agreed in 2009. Ofwat said it would take a final decision on the increase next month after a short period of technical consultation, which allows for the submission of new evidence.